this is one of the great graphic website indeed. 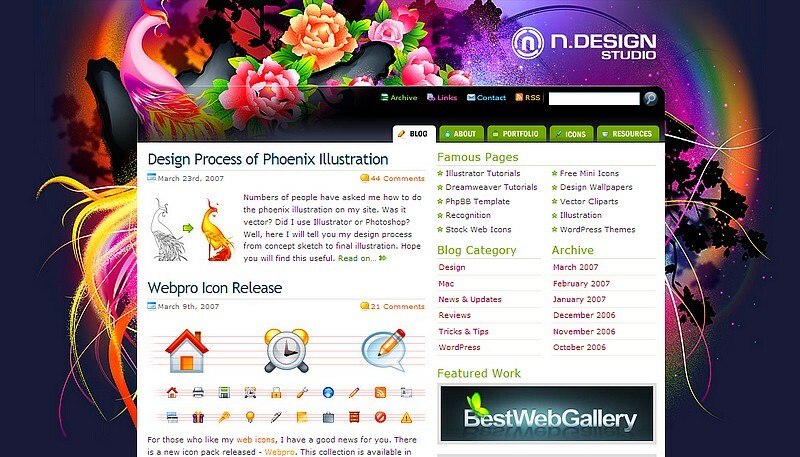 this n.design studio by Nick La has been one of my sifu in illustrator. i have yet to install the adobe illustrator in my laptop. but looking at this website makes me feel embarrassed with my own graphic level. Hello everyone, my name is Nick La and I am based in Toronto. As you can see, I’m a graphic/web designer. Most of the skills and knowlege I have are self-taught, but I did attend Humber College for a two year Advertising and Graphic Design program. There, I learned about Photoshop, Illustrator, QuarkXpress, typography, advertising, and color theory. This entry was posted in blog + bloggers, forum i.t + gajet. Bookmark the permalink.